CopyRight2 is Sys-Manage's file copy/backup solution that lets you easily backup network shares, files, folders, permissions and more of any Windows®, NAS or SAN (CIFS) based system onto any such system. The built-in support for Window® Shadow Copies allows CopyRight2 to even backup files that are locked because they are in use. It creates a file based replica of the source and can optionally include all the security permissions. Never has it been so easy to backup your computers and servers to your NAS and SAN devices. The intuitive graphical user interface of CopyRight2 allows scheduling the backup of your valuable file data to let it run completely unattended in the background. 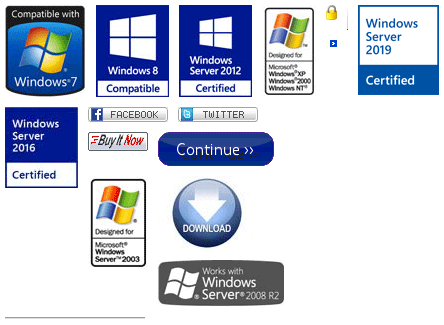 CopyRight2 supports Microsoft Windows® 2000, Microsoft Windows® 2003, Microsoft Windows® 2008 / 2008 R2, Microsoft Windows® 2012 / 2012 R2, Microsoft Windows® 2016, Microsoft Windows® 2019, Microsoft Windows® XP, Microsoft Windows® Vista, Microsoft Windows® 7 and Microsoft Windows® 8. It supports Windows® Cluster Services and a wide variety of network attached storage solutions as source or target server.